I’ve been reading your books since I returned from Forks and all the film locations in Oregon three weeks ago!!! I love them, you’ve done a great job!!!! I can’t get enough, if I’m not reading your books I’m watching the movies!! I don’t have my original books anymore as we have moved literally all over the world the last 5 years but I’m getting a new set for Christmas !!! Also… you mentioned in your new moon books about Edward not being able to read that guys mind who was the boat guide. Was there a significance I missed or is it to show Bella’s not the only one he can’t read? Also the guy mentioned about Jakes brother or something. I can’t remeber exactly and Edward was wondering… do we find out? 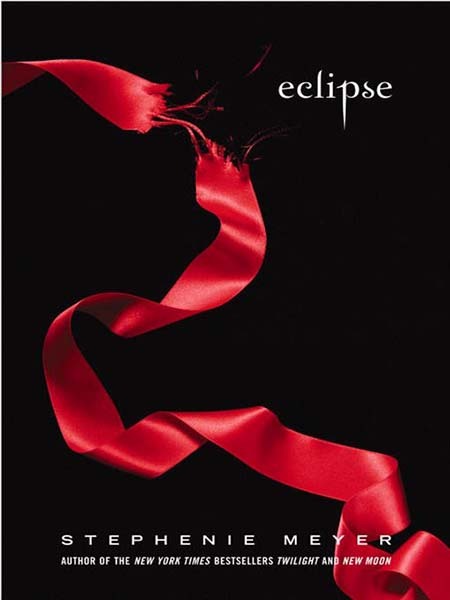 I’m only on chapter 4 now of eclipse Edward. Ha. I answered my own questions reading further along. Ever the impatient one I am!! Woman… I love these books though!!!! The Denalis could’ve come up with it on their own. If no one actually ever told the Denalis (although Carlisle probably did) the Denali coven knew about the wolves that reside in Forks. They also knew that during the time when the Cullens moved away in New moon, only the wolves who still resided in Forks could have the power to kill Laurent. And did as he never returned and Forks was the last place he went to. The Denalis must have known about the treaty because they used to live together with the Cullens. The treaty gave the wolves the right to kill any vampire outside the Cullen’s property. So the Denalis could have come up with it on their own what happened to Laurent. Love the Twilight series, my “go to” when I need a bread from the real world. Very happy to add “by Edward” to the list. Wonderful Job! Question: Victoria, Irina and the Denalis know that Laurent was killed by the pack. But how did they know? This is a great question and I’ve been puzzling over it since I read your comment yesterday. I’m not sure they did know, actually. I’m curious what made you think that, as I might be forgetting a particular reference that you’ve found. My own recollection without doing research–which is what would be required to find the real answer–is that Laurent just disappeared after he left the Denalis. Irina, who was in love with Laurent, later followed his path to Forks, probably to look for him, and that’s when she first saw Renesmee, which led to her reporting the Cullens to the Volturi. As for Victoria, I believe Laurent stayed in touch with her, and went to check on the Cullens on her behalf after James was killed, but I think the wolves were a complete surprise and they killed him so quickly that he wouldn’t have had time to tell the Denalis or Victoria about the existence of the wolves. The newborns and Victoria herself first encountered the wolves when they came to attack the Cullens in Eclipse and I believe the wolves’ existence was a surprise to them. This is a good question for S. Meyer to be asked because in her books Irina doesn’t show up at Edward and Bella’s wedding oppose to the movie where Irina is a guest but confronts them that the wolves are invited even though they killed Laurent. Edward defends this by telling her that he tried to kill Bella and has it coming but Irina doesn’t believe that. In the book she doesn’t come to the wedding at all. But as time has passed I can’t seem to remember how they all (Denalis) learned that the wolves killed Laurent and if it was mentioned at all. I do remember that the Denalis also denied to support the Cullens to fight the newborns because of Irina and her anger. That was even before the wedding. At the end of “Eclipse” Chapter 13 Carlisle calls the Denalis to ask them for help with the situation with the newborn vampires. That’s when he and the readers first learn that Irina had feelings for Laurent and is aware of the details, surrounding his death. There it is! Thanks for sharing that, Vesi.